One in ten people in the United States, age 65 and older, currently has Alzheimer’s or dementia. Changes in the brain due to dementia can start to happen many years before any sort of cognitive symptoms start to appear. Recent research suggests that we may be able to easily detect dementia in people years before symptoms have started to show by using simple and common eye and smell tests. 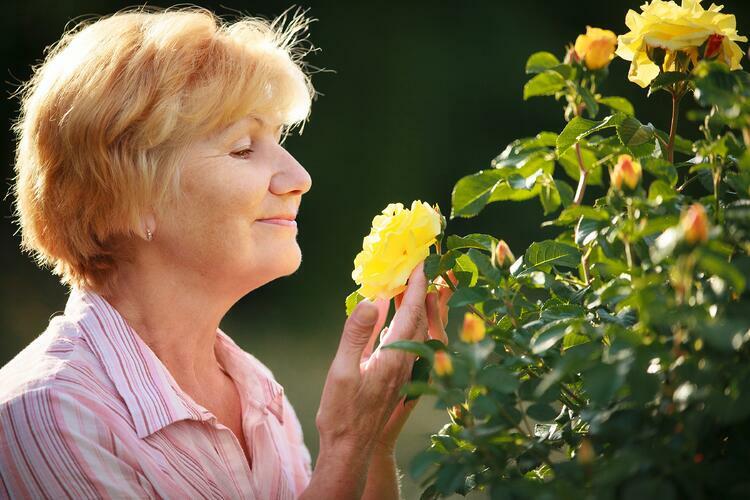 Research has previously looked into the connection between loss of smell and dementia. Another study that looked at this connection recently was done at Columbia University Medical Center. Here, researchers used a scratch-and-sniff test on nearly 400 seniors with an average age of 80. Four years into the testing, 50 of the participants had developed dementia. Their low scratch-and-sniff test scores were found to be “significantly associated” with dementia. One study found that there is a link between having poor cognitive ability and having a thinner than average optic nerve. This study looked at over 33,000 volunteers. These volunteers were tested on their memory, their reaction time, and their ability to reason. Eye scans were performed. In these eye scans, the optic nerve fiber layer was much thinner in participants who performed poorly on their cognitive tests. Seniors tend to have regular eye exams as part of their yearly health routines. Adding these suggested dementia tests to those eye exams would be a simple and non-invasive preventative measure that could turn out to be very important. The sooner we can diagnose someone with Alzheimer’s or dementia, the sooner treatment can begin, and the better quality of life they can have. Michelle Haigler Kelley is a native of Montgomery, Alabama. She and her husband Shane live in Pike Road with their daughters. 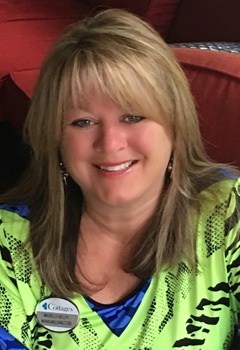 She graduated from Auburn University at Montgomery and began her career in the senior care industry as an Activity Director before obtaining her Alabama Assisted Living Administrator License in 2014. “I have truly found my calling in life to work with our seniors. After all, they are considered the greatest generation,” says Michelle. In her spare time, she enjoys spending time with her family and going to the lake.